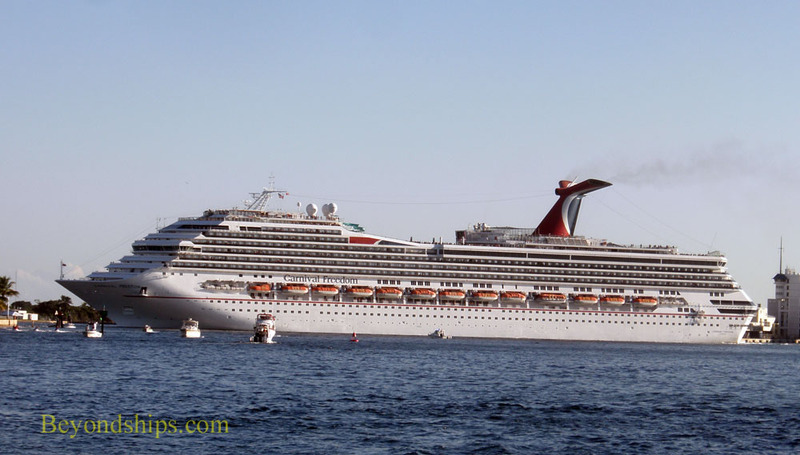 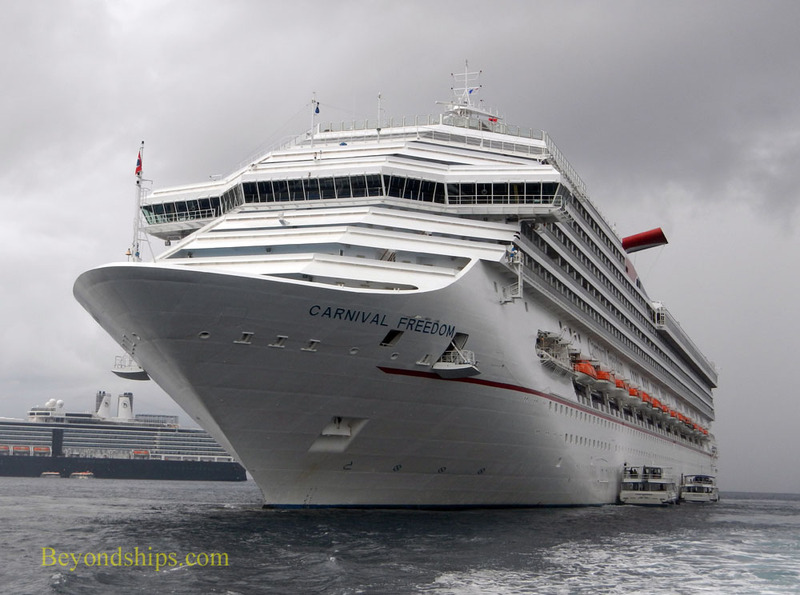 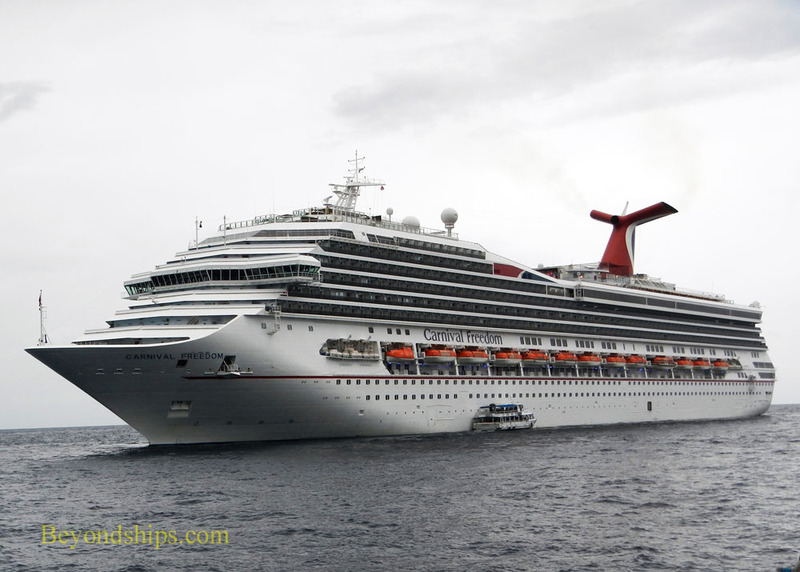 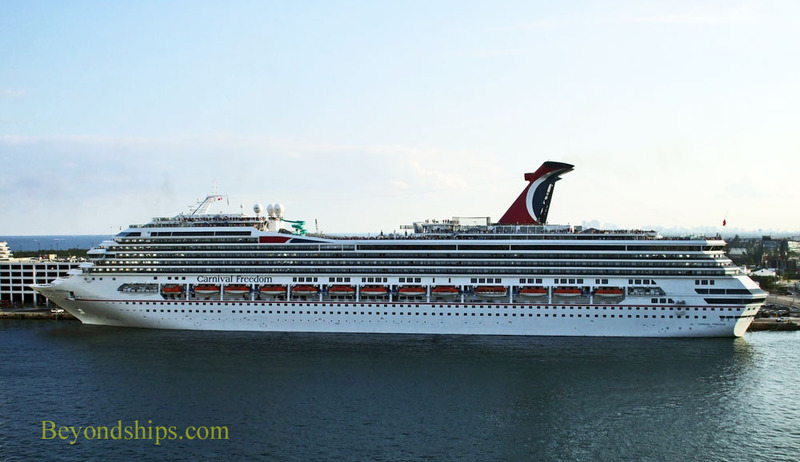 Carnival Freedom at her usual berth at the southern end of the harbor in her homeport Fort Lauderdale, Florida. 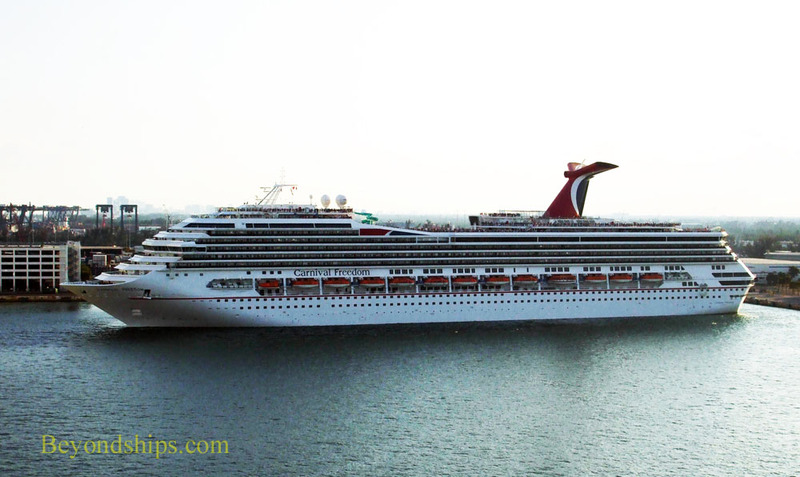 As the sun begins to set, Carnival Freedom uses her thrusters to push away from the berth. 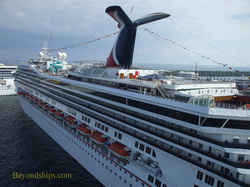 She then heads toward the narrow cut that is the entrance to the harbor. 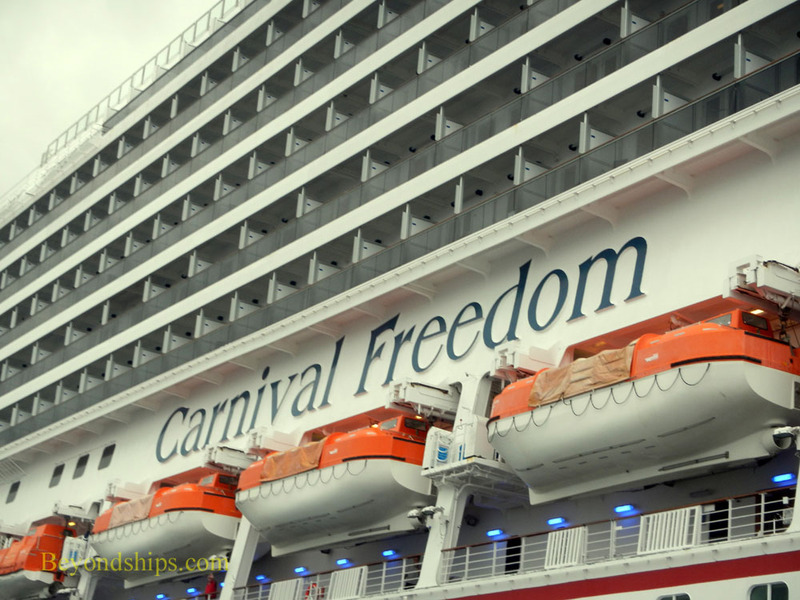 Freedom emerges from the harbor entrance and carries on out to sea. 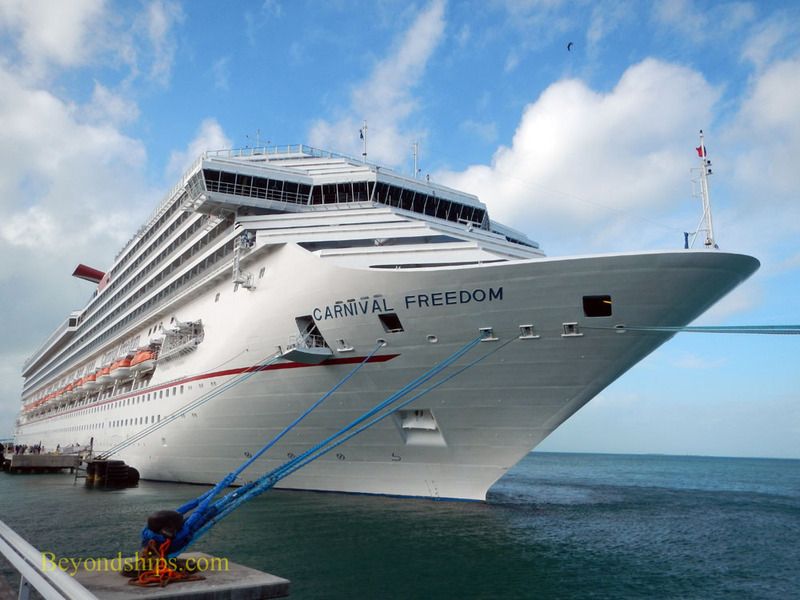 Above: Carnival Freedom at Pier B in Key West, Florida. 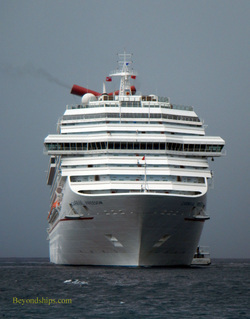 The next port, Grand Cayman, is a tender port. 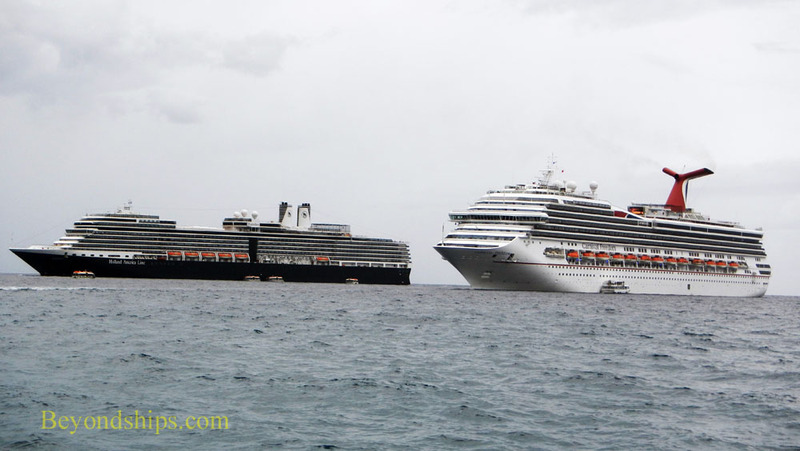 In port with Carnival Freedom is Holland America's Eurodam. 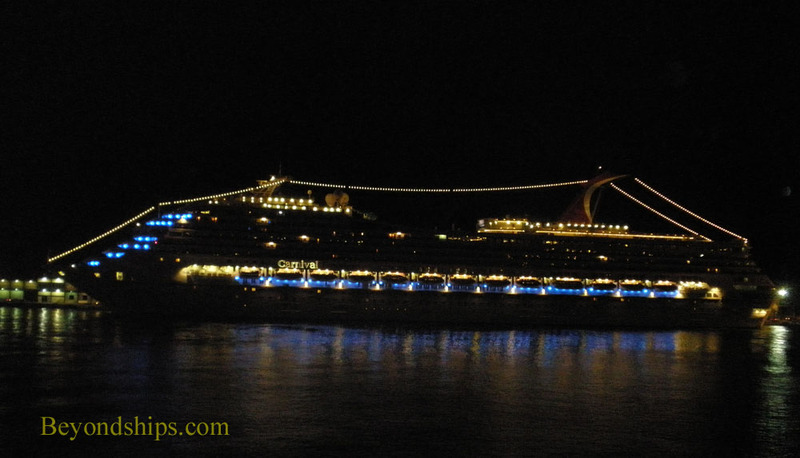 Back home in Fort Lauderdale in the early hours of the morning.